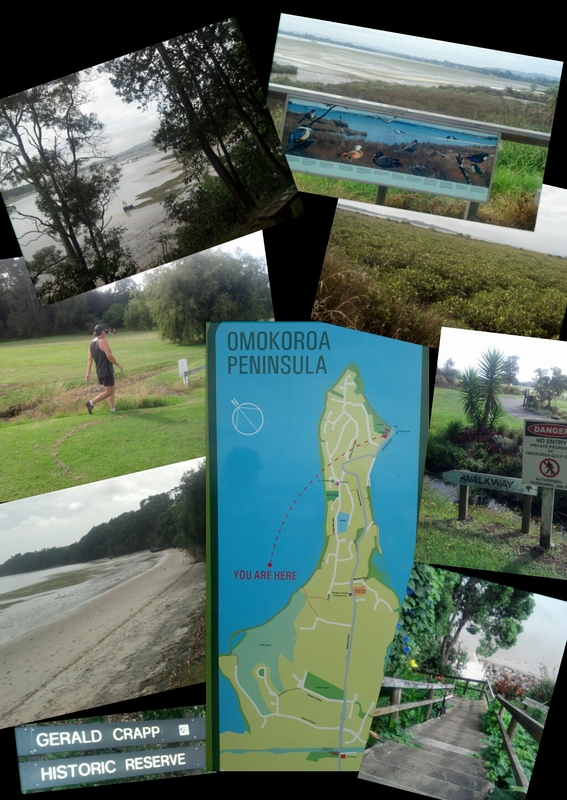 If you combine all the small walking tracks around Omokoroa Peninsula into one it gives you a good 2 to 3 hour walk. I recommend you start from the top of the golf course down Kayelene Place, as it is much easier to find the walkway from there, which curves its way along the eroding edge of the golf course. At first having unsuccessfully tried to find the track across the golf course from the opposite direction I had thought the strategically placed - No Entry- signs were protectionism by the golf club, but having seen the erosion followed by a quick read regarding walkways and the Queens Chain in NZ, I now believe the golf club are probably well within their rights to project their land and hope that they continue to enable the walkway to remain open for locals and tourists alike. Either way if you are in the area I recommend you do the walk sooner rather than later so you don't miss out.